Port Nicholson Packaging has specialised in the production of food packaging to supply Bakeries and other Food Manufacturers – specifically Cake and Cupcuke boxes, Cake Circles and Paper Bags. 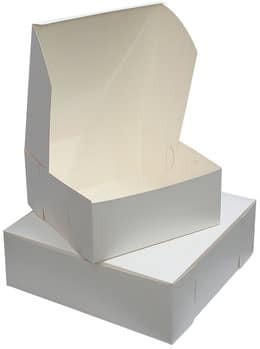 We also supply a varied range of Chocolate Boxes – which include clear PVC lids and inserts. In addition we also carry other common packaging products which can be purchased in small quantities. Should you require a packaging product which is not shown, please contact us to discuss and we will be more than happy to provide a quote.